MTV has announced that on November 15 it will air Restore the Shore—a live one-hour fundraiser featuring the Jersey Shore cast and other celebrities—to provide relief for Seaside Heights. 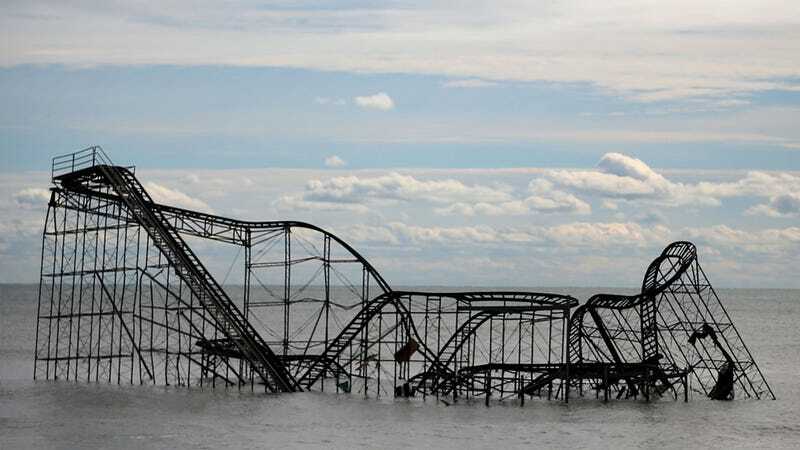 The beach town, that's been home to the network's hit reality show for the past four summers, was hit particularly hard by Hurricane Sandy last week; part of the amusement park crumbled into the ocean, large portions of the infamous boardwalk were decimated; businesses were destroyed; homes floated away. JWOWW's boyfriend Roger, who has been featured on the show and who lives on the barrier island, live-tweeted the destruction he found in the aftermath of hurricane, and his rescue efforts to retrieve stranded neighbors from their homes by using his jet ski to ride down flooded residential streets. Funds raised by MTV will be used to rebuild the boardwalk, support local businesses and residents and aid in longer-term efforts to "repair and revitalize." The network will be working with the non-profit group Architecture for Humanity, which provided design and construction services after the natural disasters in Biloxi and New Orleans after Hurricane Katrina and Haiti after the 2010 earthquake.